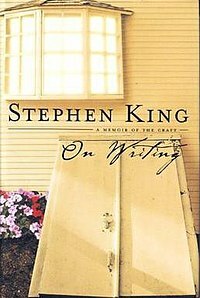 If you’re gonna read a writing book, it might as well be Stephen King’s On Writing: A Memoir of the Craft. The book is structured in two parts. The first half is pretty much an autobiography, just what the title promises. It’s a story of King’s life and how his writing evolved, based on his experiences. A great way to show that you are what you write and the other way around. While seeing how King grew from a teenager writing crappy (sort of…) stories to a record-breaking author is inspiring, what really struck me was the second half of the book, concerning technique. ‘But wait, you said this wasn’t a book about technique!’ I hear the crowds roar. It isn’t. The advice King gives is so basic, so fundamental and simple, I would hardly call it ‘technique’. What makes it so hard-hitting is precisely the simplicity. Writing isn’t supposed to be hard, it is just a matter of putting all your heart and skill into learning how to do it properly. Yes, it may take a long time, but work pays off. And that’s where the “you already have it in you, dear reader” kicks in: if you’re willing to put in the work, you can do it. I’ve read this book about 2.5 years ago, so I’ll stop here since I don’t feel I can give it enough credit from memory. This post intends to do just one simple thing – convince you to read it. You should, if only for the most basic writing advice I’ve ever encountered: if you’re a writer (a professional writer that is) you should write 4 hours a day and read 4 hours more. You see, it’s real work.